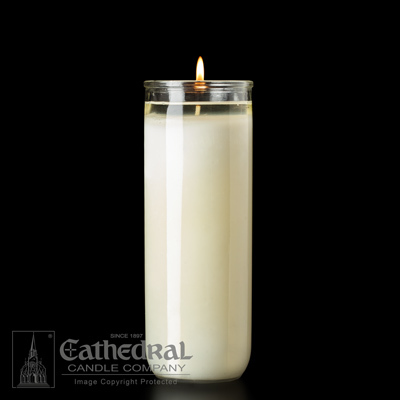 The DOMUS CHRISTI 8-day sanctuary light is specially formulated to meet diocesan requirements with 51% pure Beeswax, select natural oils, and choice premium waxes. '51% Beeswax 8-day Glass Sanctuary Light. Open-Mouth top. 12 per box.